Second Half Pack on sale now! Catch the last 4 home games at FMG Stadium Waikato of 2019 from: $70 Adult | $27 Child. The Gallagher Chiefs have produced their best performance of the season to destroy the Bulls 56-20 at Loftus Versfeld in Pretoria and record their first win of the season. 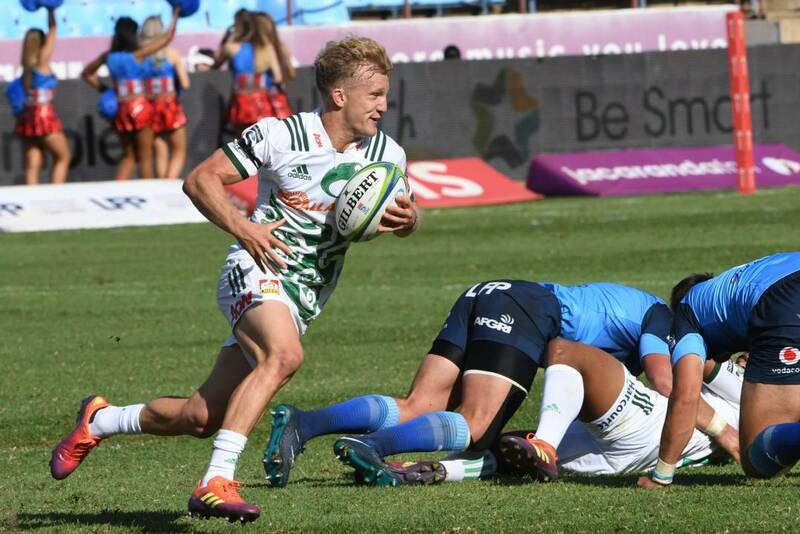 In a fast-paced game played in fine afternoon conditions, the Chiefs produced a dominant display of attacking rugby from start to finish to run away with a comfortable seven tries to two victory. An encouraging start from the Chiefs was rewarded with the opening points of the match when they turned their good early field position into a 3-0 lead after 10 minutes thanks to a Damian McKenzie penalty. The Bulls hit back almost immediately with their best period of the match so far, working downfield and replying with a penalty kick of their own from the boot of first five Handre Pollard. After slowly but surely asserting their dominance, enjoying the better of possession and territory, the Chiefs finally struck in the 25th minute when a Brad Weber box kick was regathered by the visitors, with some quick passing shifting play wide for left wing Solomon Alaimalo to stroll across and score the opening try. The Chiefs made it a double strike a few minutes later with a couple of Damian McKenzie runs sparking them into action, before his brother Marty McKenzie found a gap in the defence and offloaded to Alex Nankivell who did well to pick the ball up off the ground and scoot away for the second try. McKenzie converted both tries and the Chiefs lead was stretched out to 14 points, but Pollard's second penalty soon after kept the home side in touch. With time expired in the first half the Chiefs made the perfect finish to the end of an impressive first 40 minutes, as several waves of patient attack eventually ended with Brodie Retallick squeezing his way over the line. McKenzie's conversion made it 24-6 in favour of the Chiefs at the break. It took the visitors just 90 seconds to add further points after the resumption of play, when yet another McKenzie line break put them on the front foot, with Retallick on hand to take a short pass a few phases later for his second try of the match. A desperate Bulls side needed to score next, and showed much better energy and intent through the middle stages of the second half, but the Chiefs were resilient in defence. Play eventually swung downfield and the Chiefs immediately looked likely once more. A superb grubber kick in behind the defensive line from McKenzie ended in a second try for Nankivell which blew the Chiefs lead out to 32 points with 20 minutes remaining. A nice response from the Bulls finally saw them cross for their first try, as a well-placed chip kick from Pollard was gathered in by centre Jesse Kriel who dotted down next to the posts. A long-range penalty from McKenzie took the Chiefs past the 40-point mark, before they produced one of the best moments of the match as a break out from near halfway saw some great running and offloading with the team try finished off by replacement halfback Te Toiroa Tahuriorangi. McKenzie added another penalty to bring up the half century, and take his personal tally to 21 points, which was followed by a late consolation try to the Bulls as second five Burger Odendaal weaved his way through some tired Chiefs defence. But fittingly it was the visitors who had the final say with McKenzie involved once more, as the fullback threw a brilliant wide pass to put Alaimalo into space and he cruised away from 40 metres out to score untouched and seal an emphatic win. Gallagher Chiefs 56 (Solomon Alaimalo 2, Alex Nankivell 2, Brodie Retallick 2, Te Toiroa Tahuriorangi tries; Damian McKenzie 6 cons, 3 pens) Bulls 20 (Jesse Kriel, Burger Odendaal tries; Handre Pollard 2 cons, 2 pens) HT: 24-6. Next up for the Gallagher Chiefs is the second leg of their road trip, against the Jaguares in Buenos Aires (Sunday 31 March, kick off 10.40am NZ time).